Take the first steps to become certified to charter a boat anywhere in the world. Imagine having the credentials to charter and skipper a boat in the Caribbeanor anywhere in the world. Grant Headifen and the experts at NauticEd have certified thousands of sailors for bareboat skippering in some of the most alluring seas of the world. NauticEd’s résumé-building system is accepted by yacht charter companies worldwide. Successfully Skipper a Sailboat offers everything you need to knowand with its unique, scannable QR codes providing clear instructional videos and animations, it is the next best thing to being on the water with an instructor at your side. 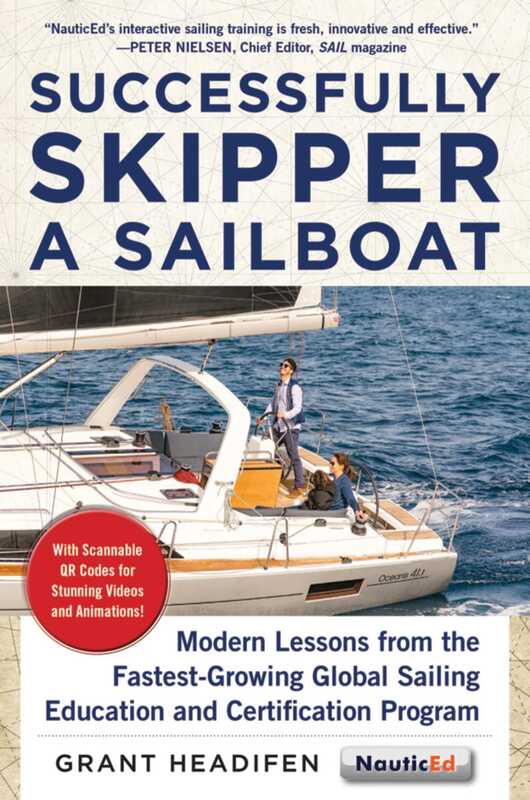 Here is all you need to quickly learn how to confidently handle skippering and boat operations near shore with ease. NauticEd is the world’s most advanced sailing education and sailing certification program, providing sailing training from basics to advanced education through entertaining and interactive multimedia online sailing courses and an unparalleled network of global training centers. No other program in the world can offer you this.